Came to Westgate because my friend wanted to do a barter trade with his friend over board games! So amazing and to think that barter trade still works! Yes, a world with no currency and no currency war! How nice that would be! One day perhaps we will see the death of monies! One day….anyway back to Cafe Crema. We decided to sit down somewhere while waiting for his barter trade partner to arrive at Jem and Westgate! 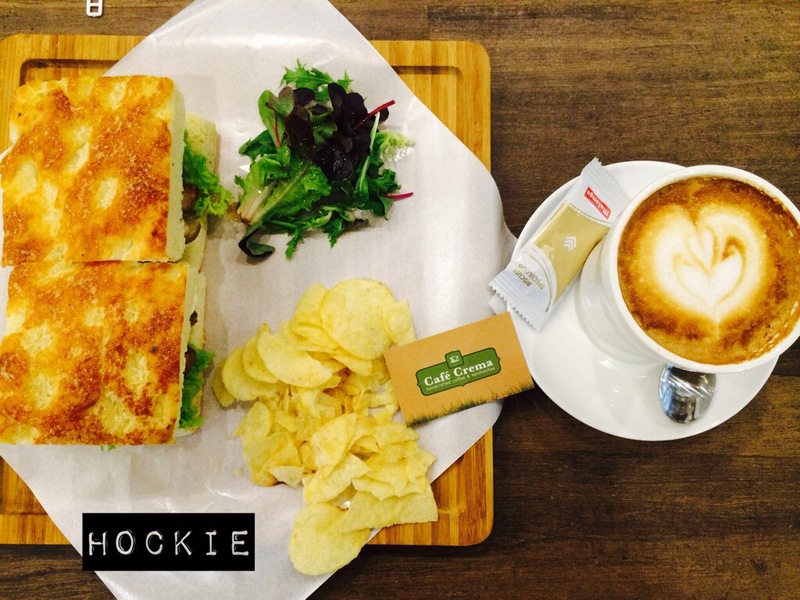 I ordered some focaccia sandwich and a cuppa of latte! Sandwich was pretty ordinary though I always like focaccia sandwich! 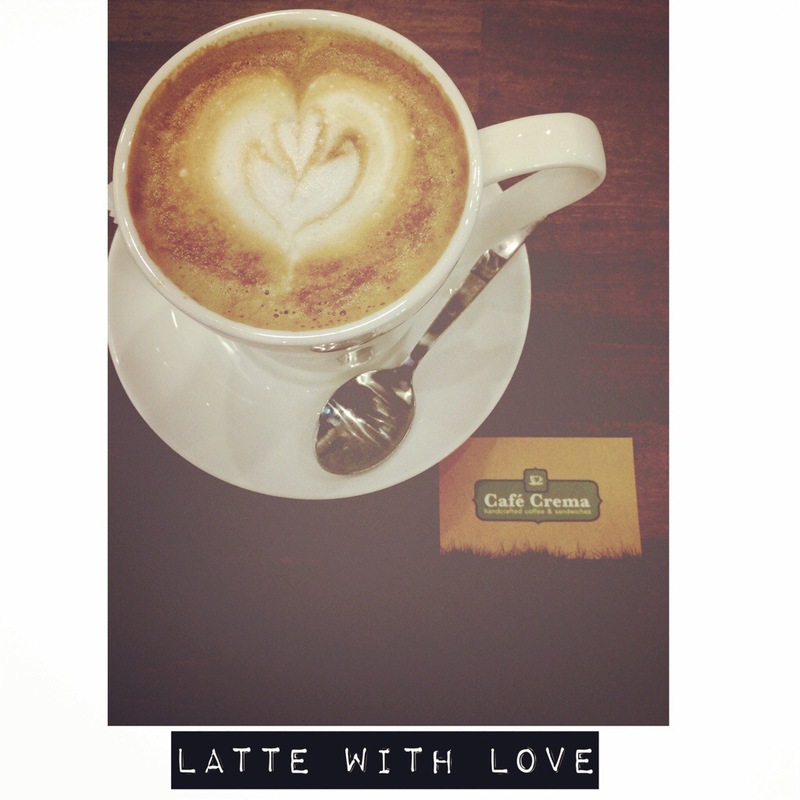 I must say that the coffee is quote aromatic and I love the smell of brewing coffee in the shop! However, I find that the coffee is a little diluted because they are using the wrong kind of cup for latte! The cup in my opinion is too big for a latte. I love the big table right in front of the counter and the entrance! Simply love it and irresistibly I sat at the table! 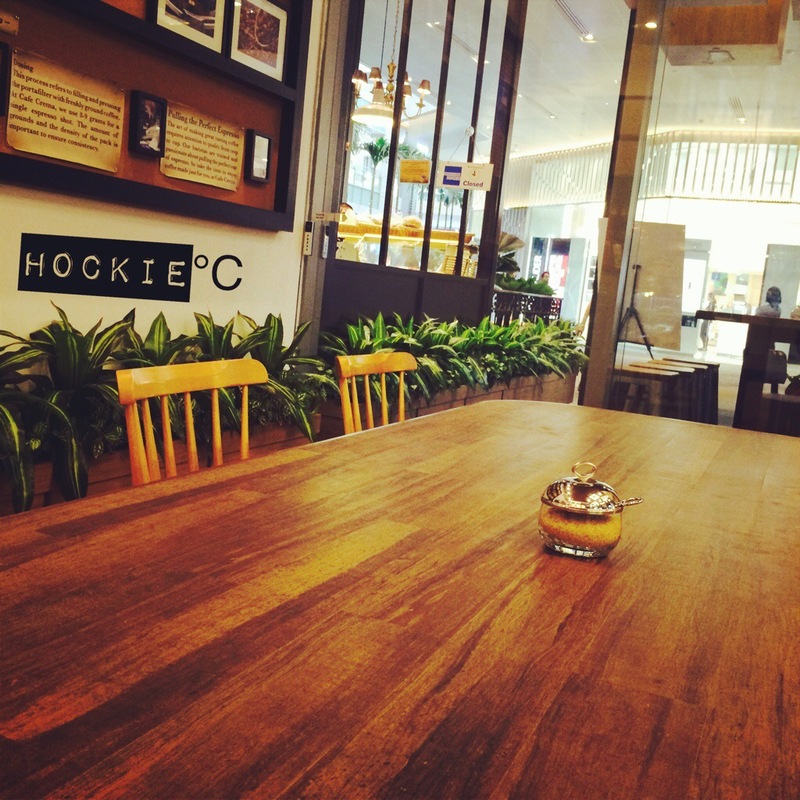 Lovely large table for a good chat with friends or just simply to do reading! I like the woods sense of the cafe. 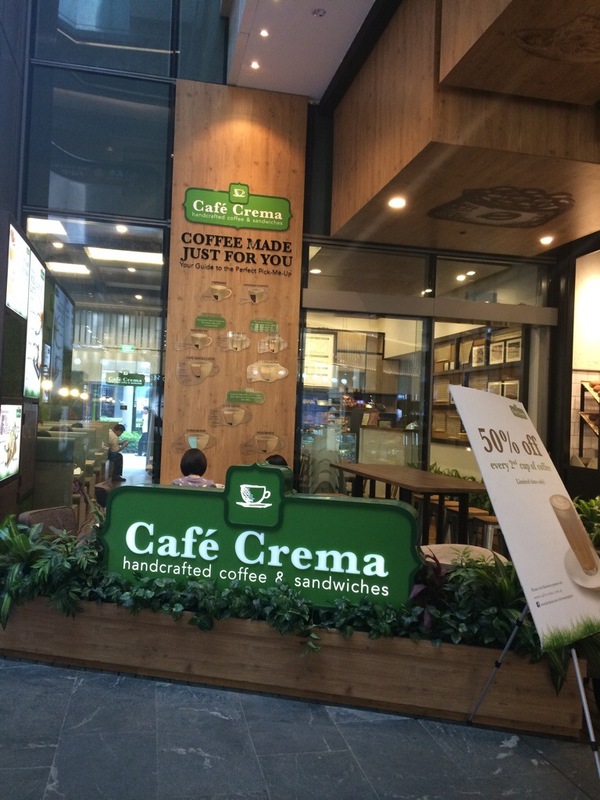 Cafe Crema is a good alternative to Starbucks and Coffee Beans.